Circle of Fountains began with just three members sprouting from my original circle. 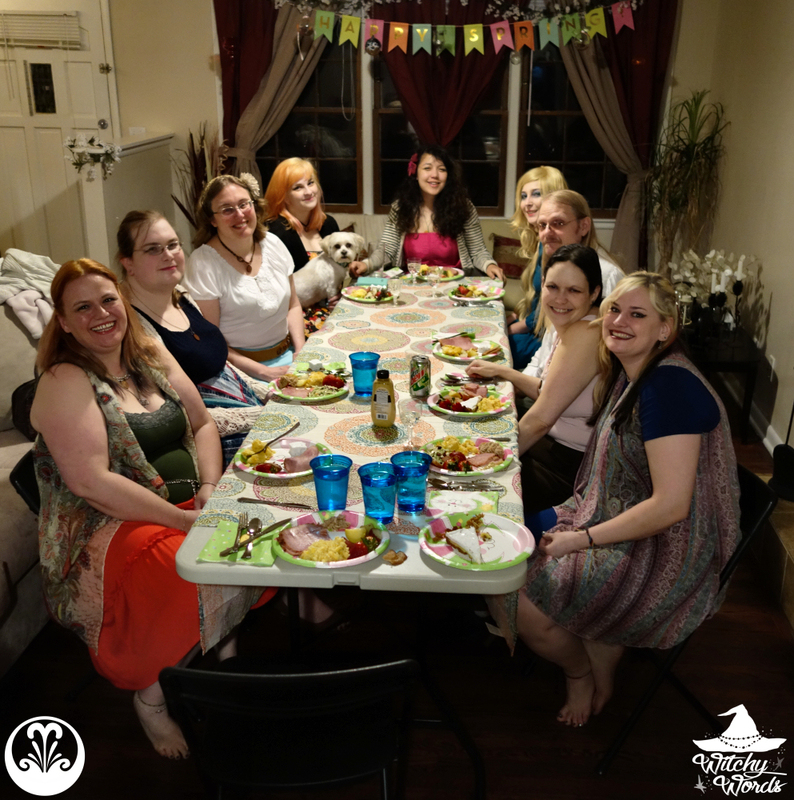 We agreed that we wanted our experience to be different from those in the past: That the circle be a circle of equals as much as possible, but equals meant both the easy and fun parts as well as the difficult parts of having a group. 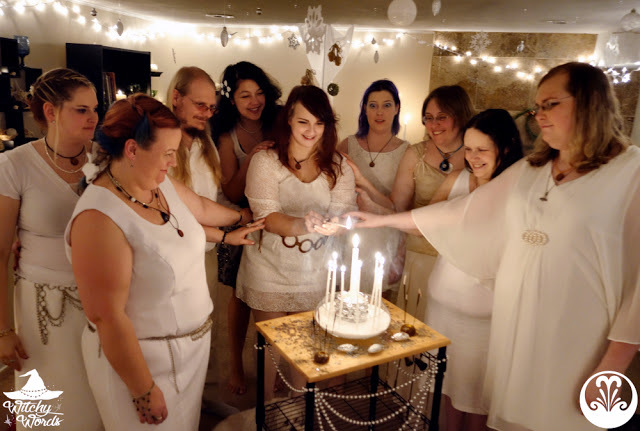 We heavily labored over the functionality of the circle, deciding right away that there should be two levels of membership, with the main members equally sharing responsibility, ritual writing and financial burden. We also agreed to hold a bimonthly meetup to discuss responsibilities, rule changes and any important notices we may need. All of these cornerstones still stand today. We added our first new member, Kolika, by Beltane. 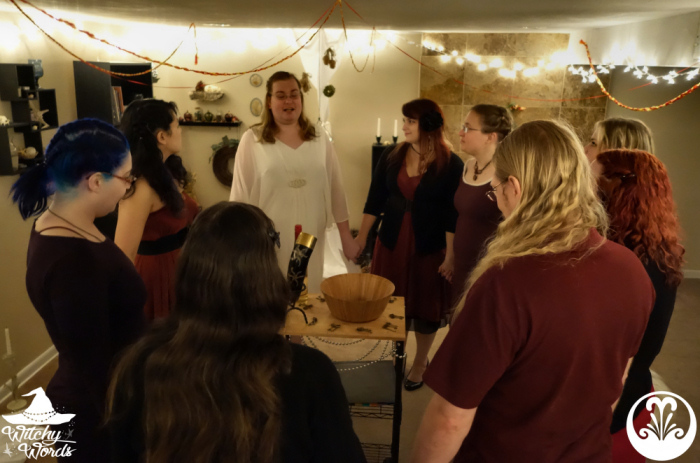 Kolika and I met through the local pagan community at an event where we both just happened to be attending for the first time. We immediately hit it off with our shared love of pets and found our way to a close friendship. 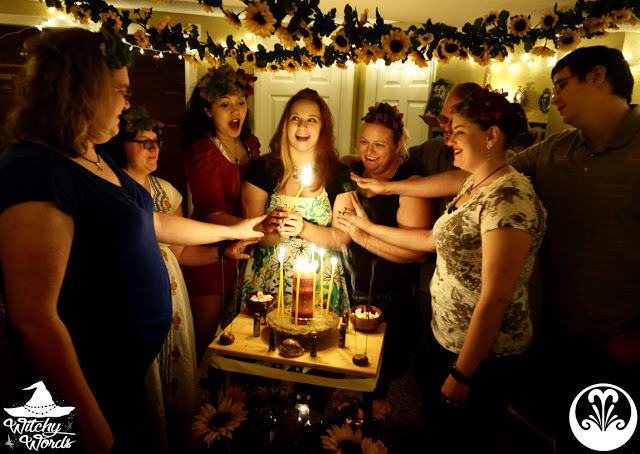 Midsummer was intense, as my husband and I drove over 10 hours the day before to pick up our roommate from Texas and packed in another 10 hour drive back to go straight to ritual. Our roommate became our fifth member of CF. 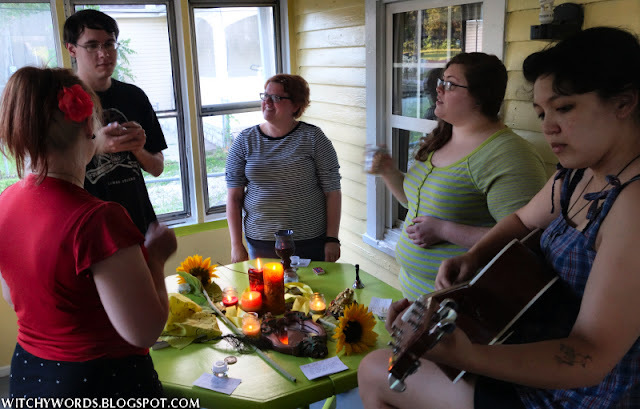 During Lammas, we picked up our first Guest Member, Emily. 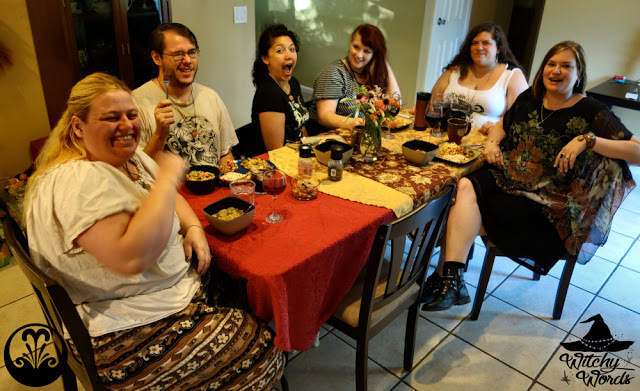 It was shortly after this meetup that we decided to be more public about our group and offer up the bimonthly meetups to meet potential new members as long as those members were formally invited by a current Primary Member. This decision would lead to many familiar faces joining later on! 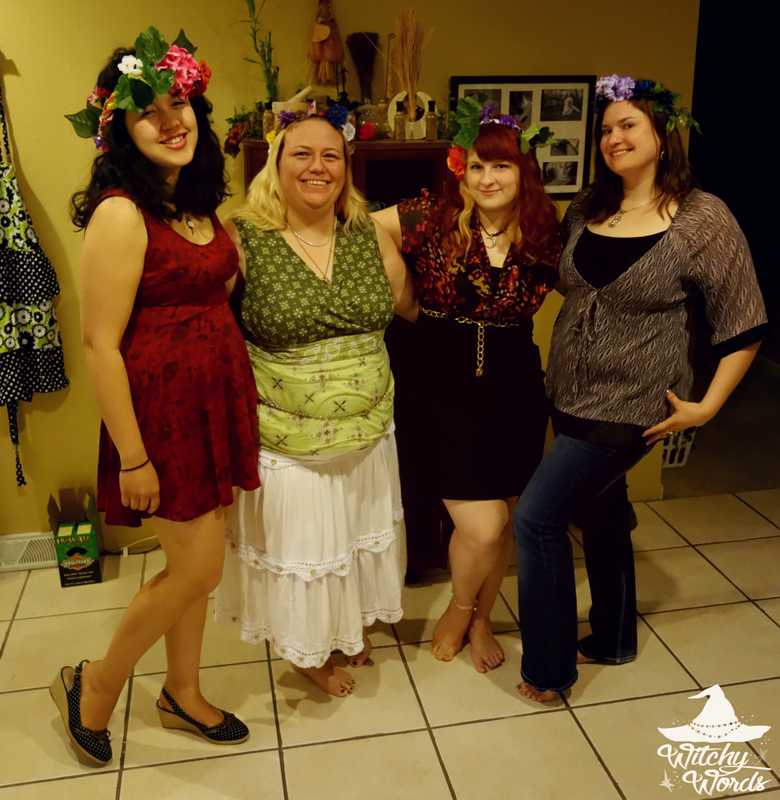 By Mabon, we'd had a few membership changes, including our next Primary Member, Kira. She and I met through the community's public rituals several times before I asked her if she'd like to join. Kira has been an asset to the group ever since! 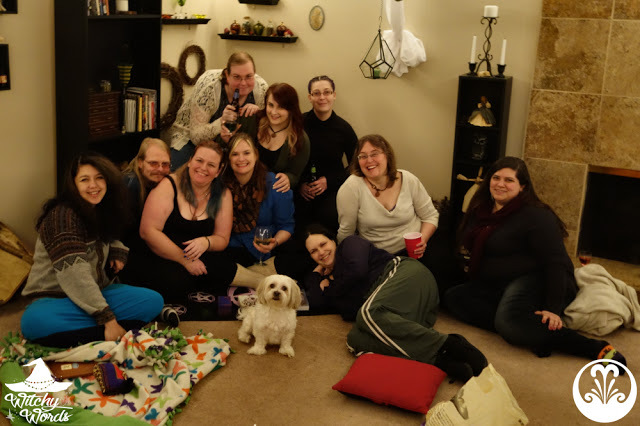 Kira was the first member to join by means of the bimonthly Circle Meetup. We celebrated Samhain after my husband, our roommate and I moved out of our apartment to the Witchy Cottage! By Yule, our membership had grown immensely. We added both Phaedra and Laura, which is serendipitous as their friendship bloomed into a relationship shortly afterward! 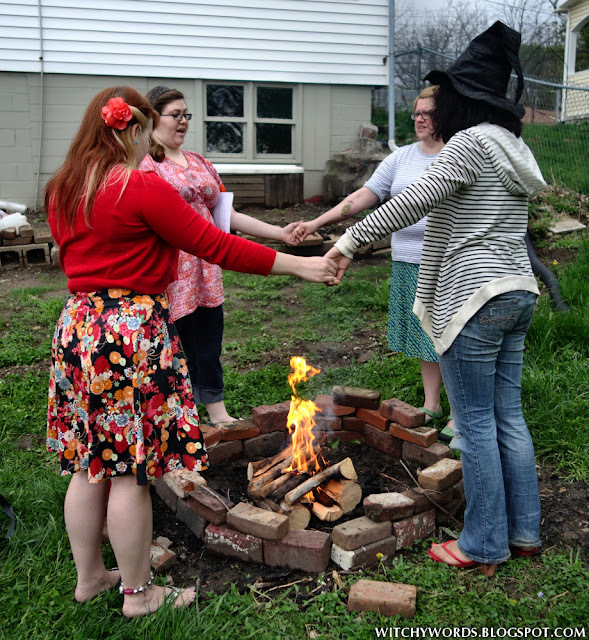 During Ostara, we would create a new position: Associate Member. This position was for live-in significant others of Primary Members, so that they would be counted as group members and be able to participate in potlucks and rituals as they saw fit. After Imbolc and Beltane struggled with member attendance, we implemented a mandatory Primary Member attendance policy. At this point, we had long since created titles for membership responsibilities and detailed them, but we hadn't finalized our responsibilities as of yet. 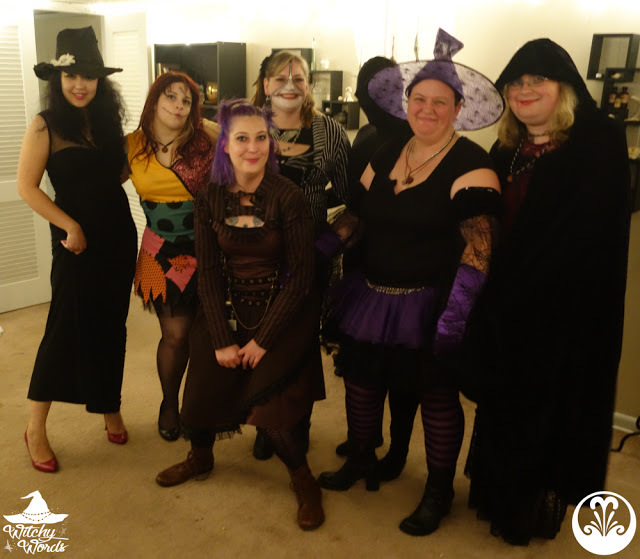 We knew we certainly wanted eight Primary Members to share the eight sabbats and all of the responsibilities, but we hadn't found the right members just yet to complete the circle. Our Midsummer ritual would include our first dedication to Circle of Fountains as a group and develop the logo we use today! We would also implement resignation policies to avoid members having to pick up rituals last minute. Some of our members shifted from primary to guest as needed due to life responsibilities. 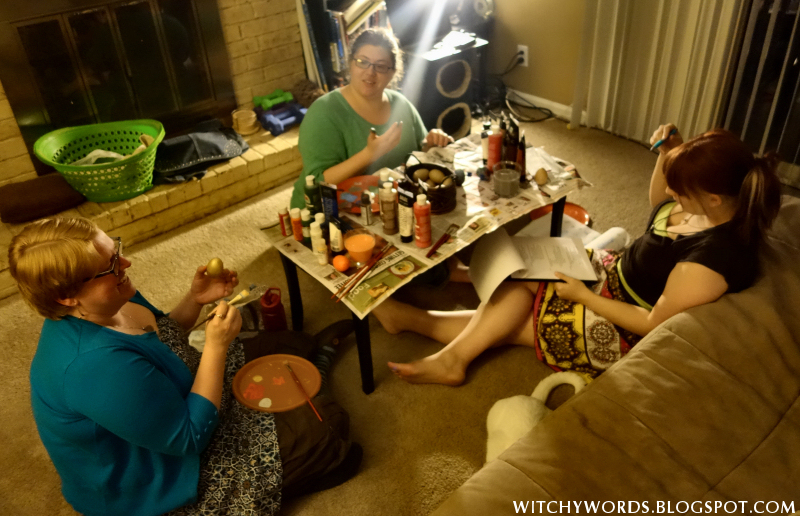 August Eve would be our last ritual at the Witchy Cottage, but the first ritual with our new CF pendants! And Mabon, our only ritual at the 30 Day House, would be the first time we'd see our next Primary Member, Andrea! She, Phaedra and I connected over shared autoimmune struggles and our love for our babies, furry and non. We often refer to we three as the "hive mind." It seems we're always on the same brain wave, even if we're nowhere near each other. 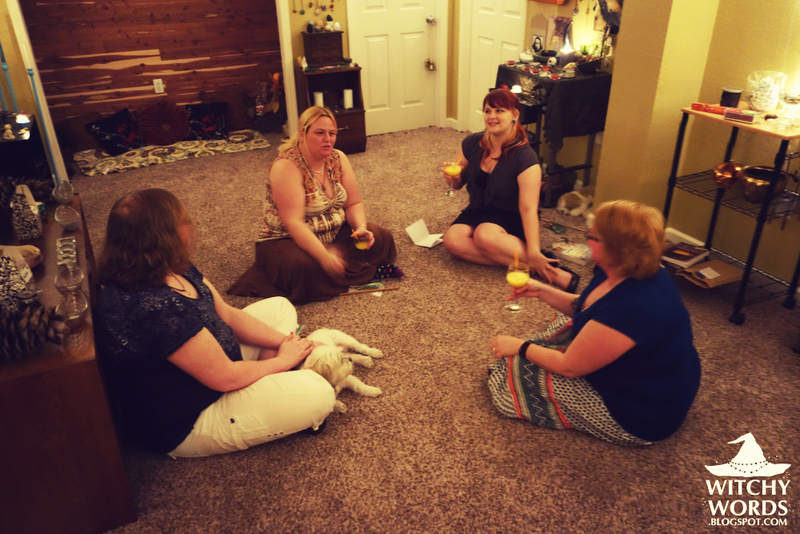 When we found out the 30 Day House had irreparable damage and we would need to move yet again, my circle mates joined me for our first ever Drunk Divination night. This would become a regular tradition! 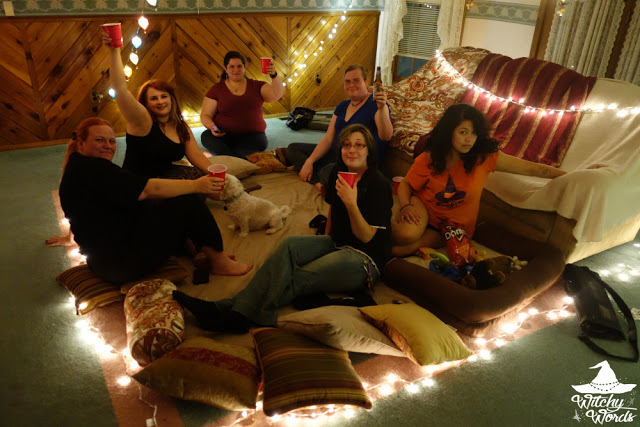 Samhain 2015 was our first ritual at our new home, Terra Luna. After Samhain, my husband and I would say goodbye to our roommate. But our goodbye would be met with more hellos soon enough! We were asked by a local community member to join in on the Winter Pagan Garage Sale. Our experience there was overwhelmingly positive and led to a deep desire to involve ourselves in the community even more! Yule was a time of fulfillment and change! 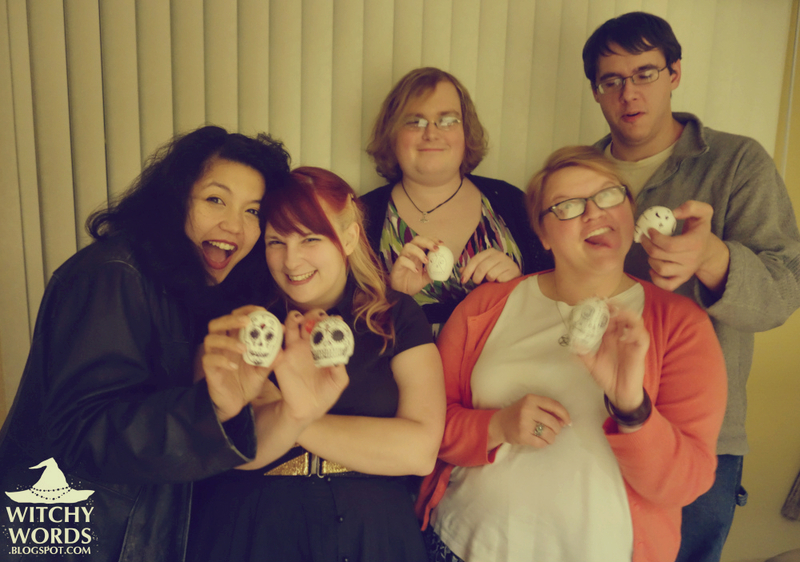 We added Abby and Amy to our Primary Members, officially completing the main core of our circle. We fleshed out the final membership responsibilities and have been using that format ever since. 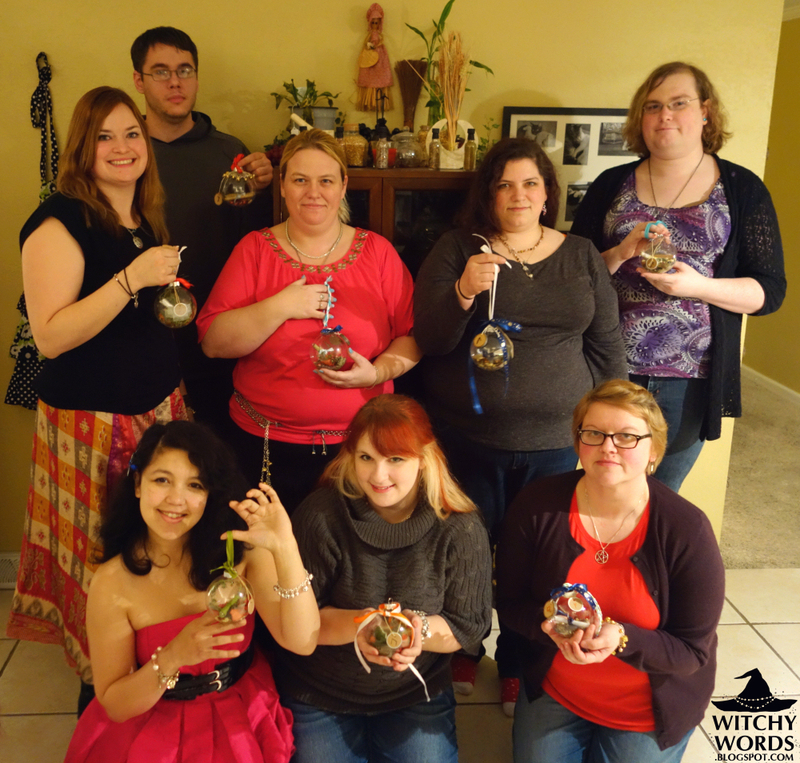 Yule was our first celebration as a completed group! Remember how CF was forming a need to be involved in the community? By January, we certainly got our wish! 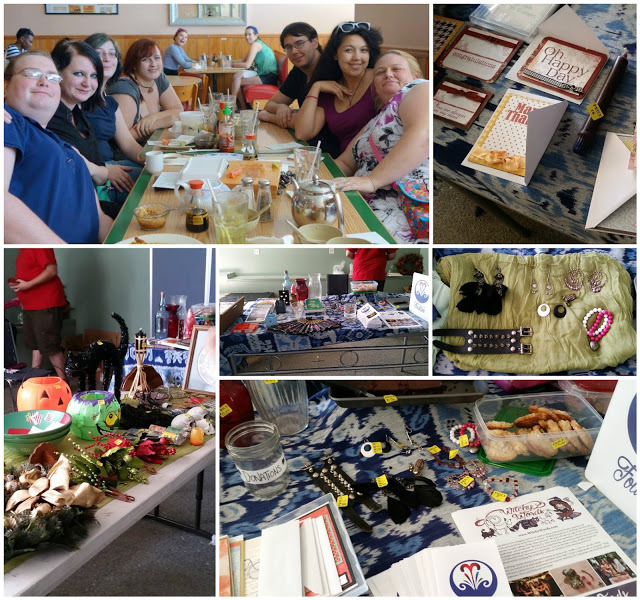 Though we'd never shared our budding desire to do more publicly, we were asked to perform two public rituals for the community in 2016: The Kansas City's Pagan Pride Day main ritual and the Gathering of Pagan Souls opening ritual, both slated for September. Things like that don't just happen without a cause. We projected a thought and the cosmos answered. Things were really coming together! 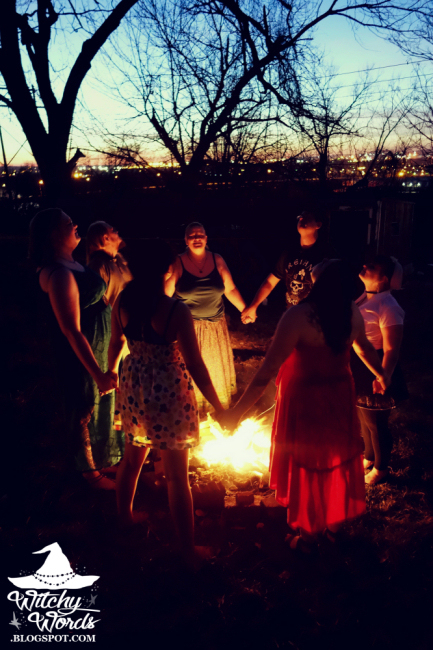 By Imbolc, we had added nine new full moon esbat rituals to assist in miscellaneous spell work and to teach our two new Novices. We officially decided to turn our bimonthly meetups for potential new members into biyearly ones. We will have our last bimonthly public meetup in April, and our next public meetup won't be all the way until November. 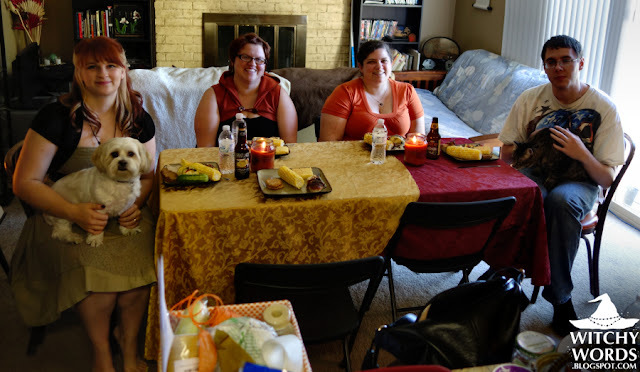 Instead, our bimonthly meetups will now be purely about our own circle and include public ritual planning so we stay on top of our responsibilities to the community. 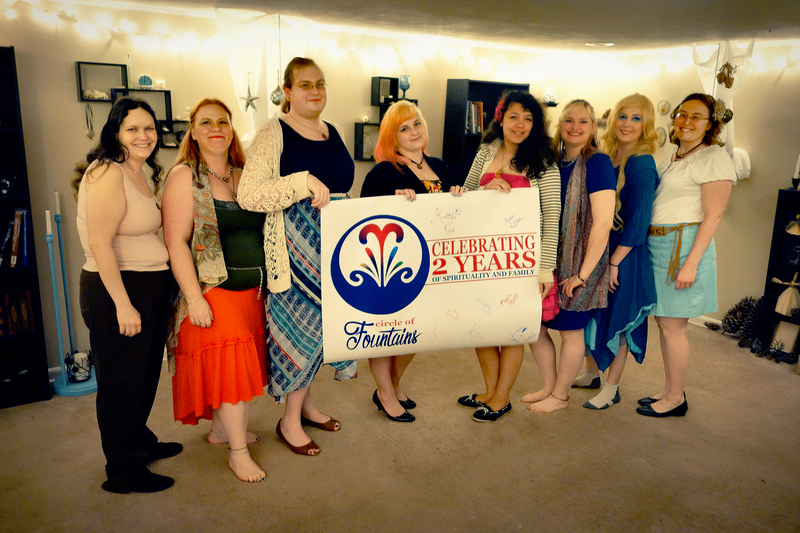 And now that it's close to the Spring Equinox, we are celebrating our anniversary for the second time! 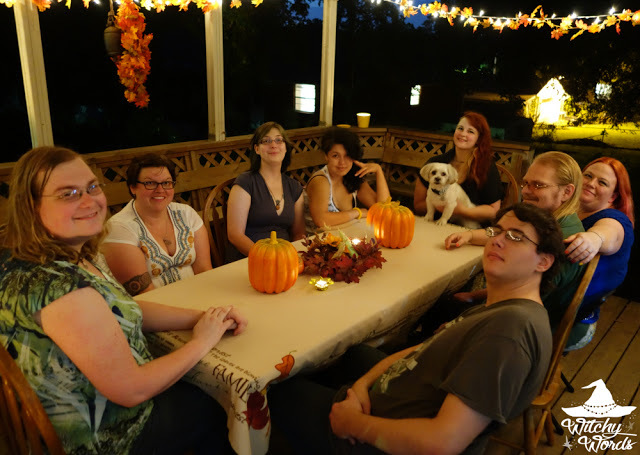 I know I've spoken ad nauseam about how amazing my circle is, but we've truly become a family. 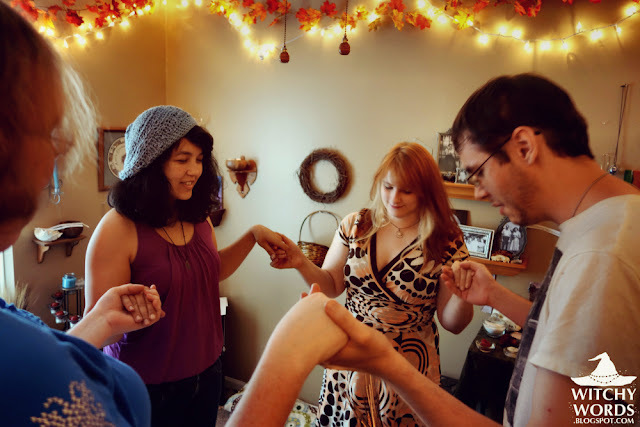 To go from just three members and various membership changes to eight core members, from being solitaries coming together for the sabbats to a spiritual group teaching younger members and promoting community through ritual and involvement, from being eight people looking for somewhere to belong to finding our home within one another, Circle of Fountains is everything we wanted and more in a group. Here's to another fantastic year, and many, many more to come. To my family, with love. Thank you so much! These guys are the best thing that's happened to me in a long while and I love them to pieces!